Sledge’s soulful voice was perfect for the series of soul ballads produced by Ivy and Marlin Greene, which rock critic Dave Marsh called “emotional classics for romantics of all ages”. “When a Man Loves a Woman” was Sledge’s first song recorded under the contract, and was released in March 1966.According to Sledge, the inspiration for the song came when his girlfriend left him for a modelling career after he was laid off from a construction job in late 1965, and, because bassist Calvin Lewis and organist Andrew Wright helped him with the song, he gave all the songwriting credits to them. It reached No. 1 in the US and went on to become an international hit. The song was also the first gold record released by Atlantic Records. The soul anthem became the cornerstone of Sledge’s career, and was followed by “Warm and Tender Love” (covered by British singer Elkie Brooks in 1981), “It Tears Me Up”, “Take Time to Know Her” (his second biggest US hit, reaching No. 11; the song’s lyric was written by Steve Davis), “Love Me Tender”, and “Cover Me”. In the 1970’s Sledge released “I’ll Be Your Everything” and “Sunshine” and became an international concert favorite throughout the world, especially in the Netherlands, Germany, and on the African continent; he averaged 100 concerts a year in South Africa. Sledge’s career enjoyed a renaissance in the 1980s whenWhen a Man Loves a Woman” was a hit twice in the UK, reaching No. 4 in 1966 and, on reissue, peaked at No. 2 in 1987 behind the reissued Ben E. King classic “Stand by Me”, after being used in a Levi’s commercial. In the early 1990s, Michael Bolton brought “When a Man Loves a Woman” back into the limelight again on his hit album Time, Love, & Tenderness. On the week of November 17 to November 23, 1991, Bolton’s version also hit No. 1 on the Billboard Hot 100 singles chart, exactly 25½ years to the week after Percy’s did in 1966. In 1994, Saul Davis and Barry Goldberg produced Sledge’s album, Blue Night, which featured Bobby Womack, Steve Cropper, and Mick Taylor among others. Blue Night received a Grammy nomination for Best Contemporary Blues Album, Vocal or Instrumental, and in 1996 it won the W.C. Handy Award for best soul or blues album. 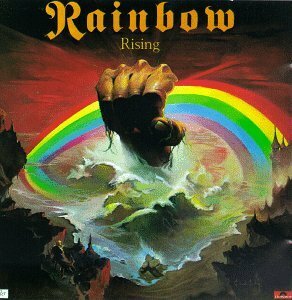 In 2004, Davis and Goldberg also produced the Shining Through the Rain album, which preceded his induction into the Rock & Roll Hall of Fame. Songs on the CD were written by Mikael Rickfors, Steve Earle, the Bee Gees, Carla Olson, Denny Freeman, Allan Clarke and Jackie Lomax. Percy also recorded a live album with his band Sunset Drive entitled Percy Sledge and Sunset Drive – Live in Virginia. In May 2007, Percy was inducted into The Louisiana Music Hall Of Fame in his home city of Baton Rouge, LA and In December 2010, Rhino Handmade issued a four-CD retrospective, The Atlantic Recordings, which covers all of the issued Atlantic masters, as well as many of the tracks unissued in the United States (although some were simply the mono versions of songs originally issued in stereo; Disc 1 comprises Sledge’s first two LPs. In 2011 Sledge toured with Sir Cliff Richard during his Soulicious tour, performing “I’m Your Puppet”. Sledge married twice and was survived by his second wife, Rosa Sledge, who he married in 1980. He had 12 children, two of whom became singers. His interment was in Baton Rouge’s Heavenly Gates Cemetery. Anderson returned to puppets in 1982 with Terrahawks, in which Dr Tiger Ninestein and the Terrahawks tried to stop the evil Zelda conquering the universe. The success of this series encouraged Anderson to attempt a new project called Space Police, but although a pilot was produced, financial backing never materialised and the series failed to get off the ground. Most of Anderson’s work in the 1980s was with television commercials, the most memorable perhaps being that for Scotch videotape featuring the “skeleton man”. Having sold the rights to his shows to the television tycoon Lord Grade in the 1970s, in 2008 he entered into talks with ITV to buy back the rights to Thunderbirds to remake it using computer-generated imagery. A live-action remake of Thunderbirds, co-produced by the British company Working Title and the American studio Universal was also released in the 2004. The highly anticipated remake of Thunderbirds aired Easter 2015 on ITV. In retirement he lived at Henley-on-Thames with his third wife, Mary, and took an active interest in his production enterprises and the extraordinary following his puppet series continued to attract. He was appointed MBE in 2001 and sadly passed away on December 26 2012 aged 83 however both Thunderbirds and Captain Scarlet continue to remain popular. 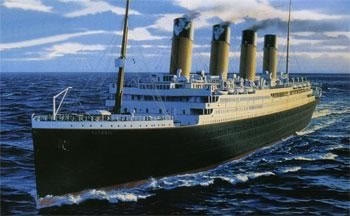 At the time of her entry into service on 2 April 1912, RMS Titanic was the largest ship in the world and had an estimated 2,224 people on board when she began her maiden voyage shortly after noon on 10 April 1912. Commanded by 62-year-old Captain Edward John Smith, the most senior of the White Star Line’s captains, she left Southampton on the first leg of her journey to New York. A few hours later she reached Cherbourg in France where she took on more passengers. Her next port of call was Queenstown (now Cobh) in Ireland, which she reached around midday on 11 April. She left in the afternoon after taking on more passengers and stores. Her passenger accommodation was said to be “of unrivalled extent and magnificence”. First Class accommodation included the most expensive seagoing real estate ever, with promenade suites costing $4,350 ($104,760 at 2012 prices) for a one-way passage. Even Third Class was unusually comfortable by contemporary standards and was supplied with plentiful quantities of good food, providing its passengers with better conditions than many of them had experienced at home. Her passengers ranged from millionaires such as John Jacob Astor and Benjamin Guggenheim, to poor emigrants from countries as disparate as Armenia, Ireland, Italy, Sweden, Syria and Russia seeking a new life in America. 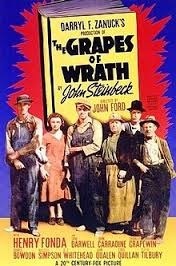 The classic American novel The Grapes of Wrath by John Steinbeck was published in 14 April 1939 and won the annual National Book Award and Pulitzer Prize and was cited prominently when he won the Nobel Prize in 1962. Set during the Great Depression, the novel focuses on the Joads, a poor family of tenant farmers driven from their Oklahoma home by drought, economic hardship, and changes in financial and agricultural industries on their journey to find jobs, land, dignity and a future. One of the son’s Tom Joad is paroled from McAlester prison for homicide and while returning home near Sallisaw, Oklahoma, he meets An old friend named Casy. On reaching his Farm Home they find it, deserted and an old neighbor, Muley Graves, informs them that they are at Uncle John Joad’s home nearby because the banks have evicted all the farmers and repossessed the farms after the crops failed and they were unable to pay the bank back. Tom finds his family at Uncle Joad’s and learns that they are planning to seek work in California. Although leaving Oklahoma would be breaking parole, Tom decides it is worth the risk. Traveling west on Route 66, the Joad family find the road crowded with other “Okie” migrants Sheltering In makeshift camps. On the way Granpa and Granma die and both Noah (the eldest Joad son) and Connie Rivers (the husband of the pregnant Joad daughter, Rose of Sharon) split from the family. Led by Ma, the remaining members realize that nothing is left for them in Oklahoma and continue on their journey to California. However On Reaching California, they find that The big corporate farmers are exploiting the workers and smaller farmers are suffering from collapsing prices. Weedpatch Camp, one of the clean, utility-supplied camps operated by the Resettlement Administration, a New Deal agency, offers better conditions, but does not have enough resources to care for all the needy families. As a Federal facility, the camp protects the migrants from harassment by California deputies. Casy then creates a Labour union to protect the workers The remaining Joads work as strikebreakers in a peach orchard where Casy is involved in a strike that eventually turns violent. When Tom Joad witnesses Casy’s fatal beating, he kills the attacker and flees as a fugitive. The Joads later leave the orchard for a cotton farm, where Tom is at risk of arrest for the homicide. As if this isn’t bad enough Rose of Sharon’s baby is stillborn, then the Joads’ dwelling is flooded leading to yet more hardship. The Grapes of Wrath is a classic piece of American Literature and is frequently read in American high school and college literature classes due to its historical context and enduring legacy. A celebrated Hollywood film version, starring Henry Fonda and directed by John Ford, was made in 1940. Good Friday is a Christian holiday commemorating the crucifixion of Jesus Christ and his death at Calvary. It is observed during Holy Week as part of the Paschal Triduum on the Friday preceding Easter Sunday, and may coincide with the Jewish observance of Passover. 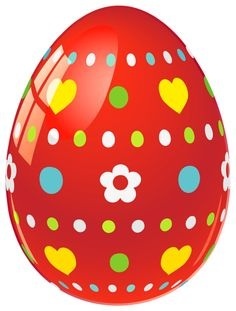 It is also known as Holy Friday, Great Friday, Black Friday,or Easter Friday though the last term properly refers to the Friday in Easter week. The date of the holiday on the Gregorian calendar varies from one year to the next, and there is disagreement about its calculation. It is a widely instituted legal holiday around the world, including in most Western countries and 12 U.S. states. Some countries, such as Germany, have laws prohibiting certain acts, such as dancing and horse racing, that are seen as profaning the solemn nature of the day.